The VA uses this trick to transform your Brown Water claim into a Blue Water Agent Orange claim. I bet you didn’t know that the VA could work magic. They can – by magically transforming a Brown Water Agent Orange into a Blue Water Agent Orange claim. You just learned that your U.S. Navy ship in Vietnam has been designated as a “Brown Water” ship by the VA. You think your days of fighting for the legal presumption are over. You call or write the VA to reopen your claim, and the VA tells you that they still need proof you went ashore in Vietnam. What happened? The VA considers 3 ports in Vietnam to be open-water ports: Da Nang, Cam Ranh Bay, and Vung Tau. They consider these to be extensions of ocean waters and not inland waterways. Thanks to that one entry (well, to be honest, the entry just triggered the VA’s thought process), the VA has concluded that when a vessel enters one of the above 3 ports, the sailor must still show “boots on the ground”. #1: Use Lay Evidence to Prove that You Went Ashore in the Republic of Vietnam. If you did go ashore in a docking, swear out a declaration stating that, as well as the circumstances you remember. I have my clients use the Sworn Declaration form instead of VA Form 21-4138 – because I believe it carries more legal weight. 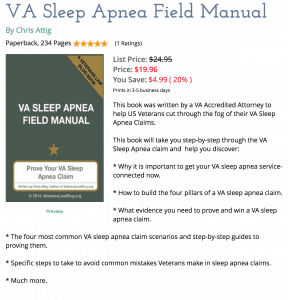 Read why I don’t use the VA Form 21-4138 anymore. So long as your statement is credible and consistent with the character of your service, the VA will likely give you the benefit of the doubt and require no additional proof. So, if your ship records show it docked in Da Nang for 38 minutes, the VA will probably not give your statement much credit if you say you de-boarded and walked around the port for 2 hours. On the other hand, if you were an officer that went ashore for a meeting stating this fact may be sufficient to prove “boots on the ground”. But it always helps if you can add more than one piece of evidence corroborating that you went ashore. Consider buddy statements, deck logs, and other ways to show you did what you said you did. In one case, one of our clients had a mess hall card he used to eat his meals at a military base while he was ashore in the Republic of Vietnam – that probably would have been enough on its own, but it never hurts to corroborate lay evidence. #2: Did you serve as a coxswain aboard a ship at anchorage? If so, a statement that you did so serve, and that you went ashore as a coxswain, that may be sufficient to get the presumption of Agent Orange exposure. Even if you can’t get the presumption right now, do what you have to do to keep your claim alive and opened as long as possible. Do your best to keep your claim active and open as long as you can. 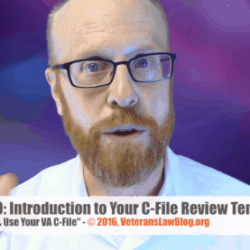 Get your C-File, study it, and study my 8 Steps to Improving Your VA Claim. Liberalizing rules affecting Agent Orange claims come about fairly quietly, without much advance notice – a claim denied now could be granted 3, or 5 or 10 years from now. #3: This Unfair Rule Could Soon Change. If the VA does the right thing, that is. My friend and colleague, Matt Hill at Hill and Ponton, continues to push forward his case involving the VA’s unsupported differentiation of Navy Veterans whose ships entered certain ports before the Court of Appeals for Veterans Claims. April 2015: Court of Appeals for Veterans Claims issued its ruling holding that the VA interpretation of 38 C.F.R. § 3.307(a)(6)(iii) that designated Da Nang Harbor as an offshore waterway, while designating other bays and harbors as inland waterways, was arbitrary and capricious. The The Court remanded the matter for VA to reevaluate its waterway definitions in light of the purpose of the regulation— to provide compensation based on the probability of herbicide exposure. February 2016: VA modified its definition of “inland waterways” in its M-21 Manual, in a move many thought was an attempt to circumvent the statutory requirement that new VA regulations require notice-and-comment under the Administrative Procedure Act (APA). From this point on, the battle will be fought on two fronts. The first front of the battle is the “as-applied” challenge, which argues that the “new” inland waterways definition is still arbitrary and capricious. The second front of this battle is the regulatory challenge in Gray, which challenges the M-21 definition of inland waterways under the Administrative Procedures Act in Gray v. Wilkie. September 2018: In a panel decision in the case of Overton v. Wilkie, the CAVC found that even thought the BVA relied on the new M-21 definition of inland waterway (short version of the rule: no port is an inland waterway), the BVA cannot rely on the M21 definition without explaining why. Many Court-watchers were disappointed with this finding – in their perspective, the CAVC just punted on the tough issue of whether the new regulation continues to be arbitrary and capricious and delays access to compensation benefits for tens of thousands of Vietnam Navy Veterans. Others think that the CAVC’s decision is a calculated move to enable them to review the terms of the M-21 manual. 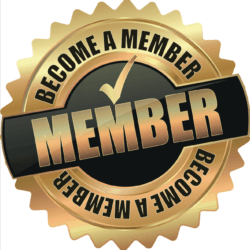 The position of the Veterans Law Blog® is that only time will tell. If we learn anything from the case of Haas v. Peake in 2008 (denying the presumption of Agent Orange exposure to Blue Water Navy Veterans) trying to read the tea leaves in a protracted Court battle involving Agent Orange is like playing Russian Roulette. I want you to jump over to Matt Hill’s website, and read the whole story of what this means to Navy Veterans whose service in these 3 ports could hopefully – as a result of Matt’s work – be entitled to a presumption of exposure to Agent Orange. The Battle Continues: Blue Water Agent Orange claims and Open Water Ports. I will look at them for sure! That is a GREAT question. One that I don’t have the answer to, unfortunately. The VA makes a rule like this, and the Courts give them “substantial deference”…lawyers call it “Chevron Deference”, after a case out of the Supreme Court many many years ago that said that Agencies are entitled to deference in administering their own regulations. Sadly, this is yet another example of how the VA can change the rules whenever they want to.